The Price – Disney+ will be very affordable at just $6.99 per month or $69.99 annually. The standard Netflix plan costs $12.99 from HD streaming on 2 screens at the same time and $15.99 for 4K streaming on 4 screens at a time. Hulu is slightly more affordable at $5.99, but the point is that Disney+ is more than competitive with the other streaming services. Considering it will have over 7,500 television episodes and over 500 movies in its first year, that’s a bargain. Also, based on your bandwidth, it can stream titles up to 4K resolution for that one low price. Exclusive Home for New Disney Movies – If you plan on streaming Captain Marvel, Toy Story 4, or Frozen 2 on Netflix, you can think again. The entire Walt Disney Studios film schedule in 2019 and moving beyond will be available EXCLUSIVELY on Disney+. With other titles like Aladdin, The Lion King, Maleficent 2, and Star Wars: Episode IX releasing this year, you’re going to want to jump on the bandwagon. Home to the Classics – Disney+ just isn’t for brand new Disney movies or the hits released over the past 10 years. It will also be home to the classics. You’ll find animated classics like Snow White and the Seven Dwarfs and Cinderella alongside live-action classics like Mary Poppins and 20,000 Leagues Under the Sea. It will also include Disney Channel favorites, the movies from the Marvel Cinematic Universe, ALL of the Star Wars films (including the first two trilogies) and animated series, all of the Pixar films and shorts, plus so much more with even more coming after the first year. Hopefully this will be a way for audiences to fall in love with movies they’ve never been previously exposed to! 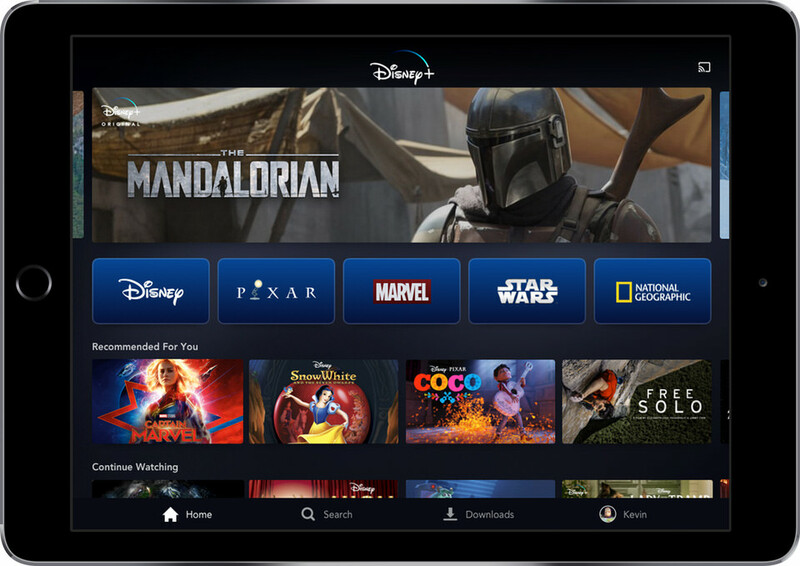 Original Content – Disney+ is going to be home to a vast amount of new, original content that sounds pretty awesome for the most part. Star Wars will be represented with The Mandalorian series helmed by Jon Favreau along with a new season of Star Wars: The Clone Wars. Marvel Studios will have new live-action series like Loki, The Falcon and The Winter Soldier, and WandaVision along with the animated Marvel’s What If…? The list goes on and on, including the live-action Lady and the Tramp movie, Noelle, Into the Unknown: Making Frozen 2, High School Musical: The Musical: The Series, The Phineas and Ferb Movie, Forky Asks a Question, Monsters at Work, the Walt Disney Imagineering documentary series, and the one I’m most excited for from the National Geographic front, The World According to Jeff Goldblum. 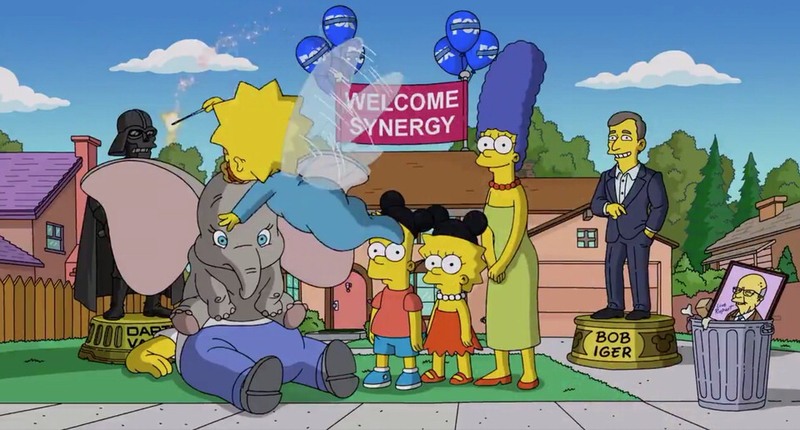 The Simpsons – Many were speculating on how Fox properties would be integrated into Disney+, but most of those questions were specifically surround The Simpsons. Well, not only will family-friendly Fox content like The Sound of Music, The Princess Bride, and Malcom in the Middle be available at launch on Disney+, but also ALL 30 seasons of The Simpsons will be moved to Disney+ as their exclusive home for streaming instead of their current place on FXNOW. This is a HUGE deal and extends the reach of Disney+ to not only Disney fans, but also fans of The Simpsons who might not have thought about subscribing to Disney+ before. We’ll have to wait and see what else might make the jump to Disney+ and what will remain over on Hulu. If all of this content from Disney, Pixar, Marvel, Star Wars, National Geographic and Fox doesn’t have you ready to pull the trigger on Disney+ on day one then what will? Let us know in the comments below what you are most excited to watch on Disney+ and what you hope will be added to the streaming service down the road!